Does your ideal client spend time on LinkedIn? 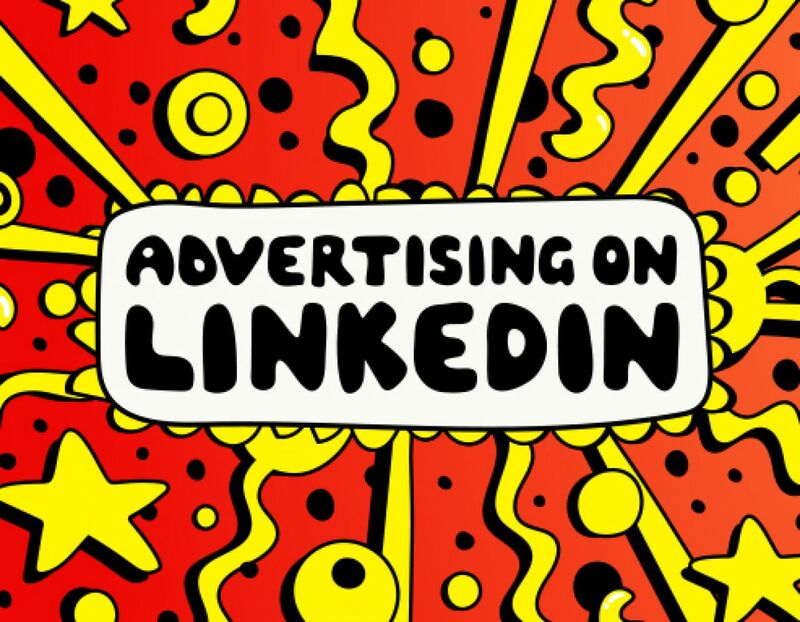 Using LinkedIn advertising can help you cut through the noise and reach them directly. Decision makers hang out on LinkedIn, consuming content that helps solve their challenges — about 80% of B2B leads come from LinkedIn, making LinkedIn ads a must-use tool for B2B marketers. Basically, if you want to reach the folks in charge, LinkedIn is the place to be. In this article, we’ll show you how to advertise on LinkedIn like a pro and reach a super-targeted audience that’s desperate to hear from you. Typically, LinkedIn ads are more expensive to run than ads on other social media platforms like Facebook, Instagram, or Twitter. However, LinkedIn self-service advertising is perfect for B2B marketers hungry for results because of the specific type of audience you can reach. 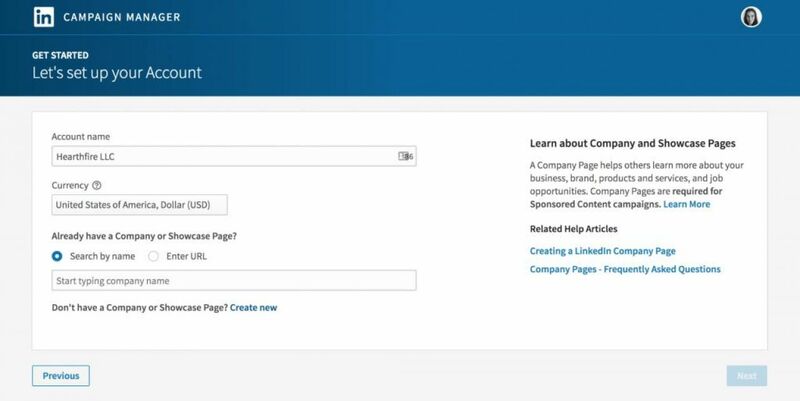 To create your first LinkedIn advertising campaign, head over to the LinkedIn Campaign Manager and log in. 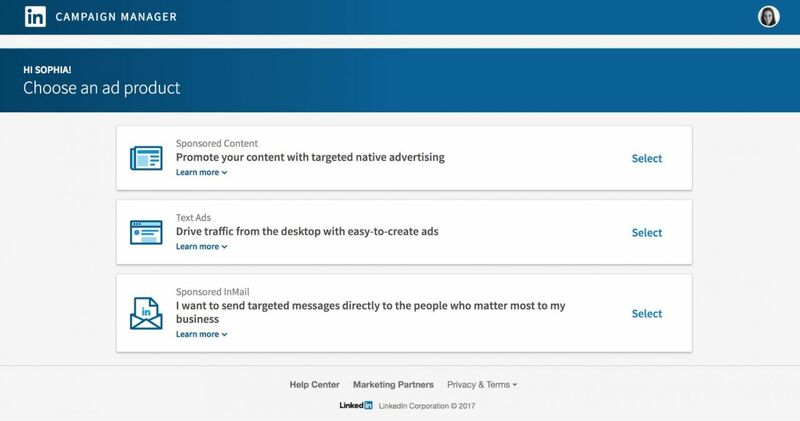 LinkedIn offers three advertising options, each with its own strengths and weaknesses — you can create sponsored content, craft a text ad, or send sponsored InMail. After you’ve picked the type of ad you’d like to make, hit Select. You’ll be asked to enter your account name and chose the company page you’d like to run the ad from. If you don’t have a company page yet, hit Create new at the bottom and follow the instructions. Now we get to the big question — what type of ad should you run? Let’s take a look at each ad type in a bit more detail. 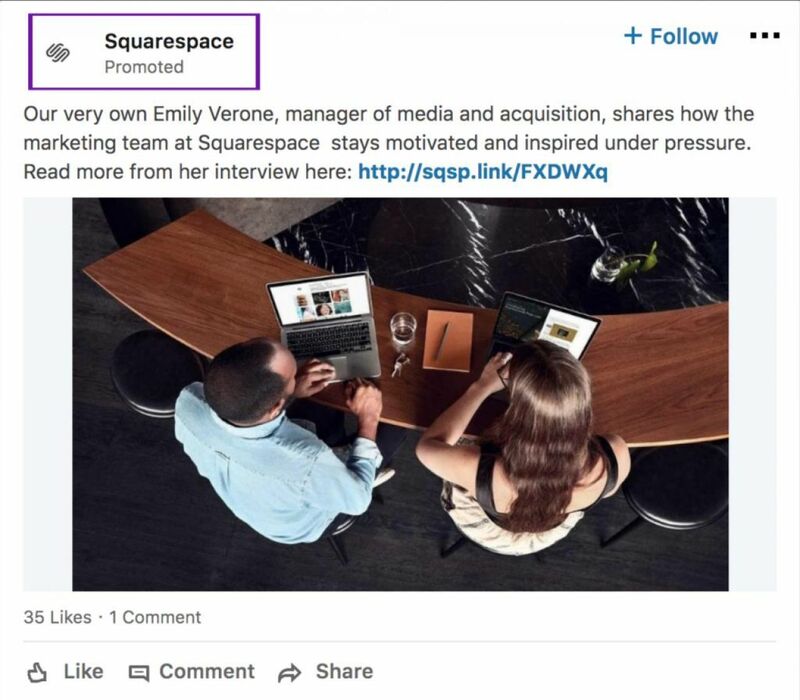 A LinkedIn sponsored update sits inside the feed, showing up between posts from your colleagues and businesses you follow. The only thing that sets it apart is the little gray Promoted underneath the poster’s name. Users can interact with a sponsored post in the same way as an organic post. They can Like, share it organically, and comment. Let’s take a step-by-step look at how you can create a LinkedIn Promoted Post. To get started, pick a campaign name. You’ll be the only one who sees it — a name just makes it easier to identify each campaign in the ads dashboard. Next, you need to decide where you want people to go. You’ve got two options. You can send users to a specific landing page or you can collect leads using LinkedIn Lead Gen Forms. For the sake of this example, we’ll focus on sending people to a landing page of your choosing. Set your destination carefully. It’s best to direct users to a landing page you own so you can measure conversion rates and capture leads effectively. You can also add a Follow button to the promoted post to encourage people to follow your LinkedIn page. You can promote an existing LinkedIn post or create something special for the occasion. LinkedIn suggests keeping your copy at under 150 characters for optimal display results on various devices. About 57% of decision makers browse LinkedIn on mobile devices, so optimization is important. Next, add an image of 1200x627px for best results — make sure your image is engaging and supports the ad copy. To get the best results possible, create several different versions of the ad and A/B test them — LinkedIn makes it really easy and will offer the option as soon as you’ve made your first ad. LinkedIn lets you get super specific with your audience. 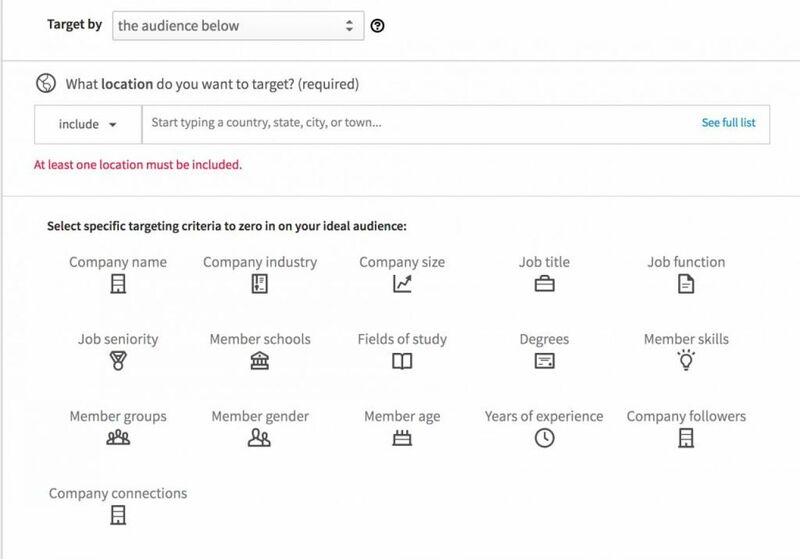 You can target people using ultra-specific targeting factors like the company where they work, their industry, job title, job function, or what school they went to. So if you know your ideal customer lives in a major metropolitan centre like New York City or Boston, went to an Ivy League school and works for IBM or Google, you can target them specifically. No other social media platform lets you get quite this specific, making LinkedIn perfect for B2B. Once you’ve got your audience nailed down, it’s time to add the final touches. Set a campaign objective: LinkedIn can optimize your campaign for awareness, website visits, or website conversions. Pick a bid option: Choose between Cost Per Click (CPC) and Cost Per Mille (CPM). Set a daily budget and bid budget: Set an ad budget — LinkedIn will offer you a couple of estimates to help you make the right decision. Set a start and end date: It’s a good idea to pick an end date for your campaign just to prevent it from accidentally running over budget. Enter your billing details and send your ads in for approval! LinkedIn usually do a pretty good job of turning them around quickly. 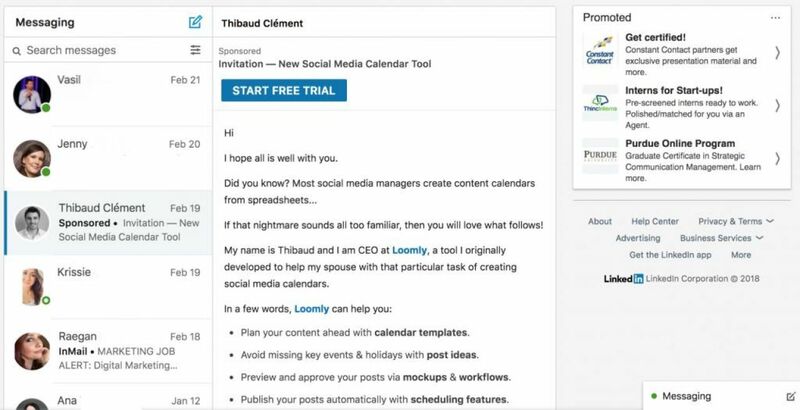 You can use LinkedIn promoted posts to raise awareness about your brand and drive top-of-funnel traffic to a landing page that captures people to your email list. But that’s far from their only use — HubSpot found that their US customers used sponsored updates to convert leads into customers at a rate of 6.1%, almost double that of Google Ads. LinkedIn Text Ads come in three visual flavors — the single ad, double ad, and triple ad. Setting up text ads is very similar to setting up a sponsored post. The copy is made up of two parts — a headline of up to 25 characters and body text of up to 75 characters. 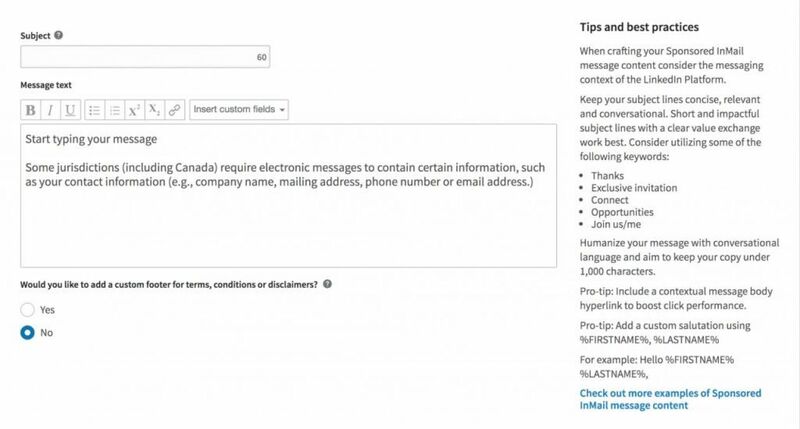 You can send users to your LinkedIn page or an off-site location. Again, you can create multiple versions to test side by side. Sponsored InMail feels similar to cold email marketing — the leads haven’t opted in but you can reach them in something strongly resembling an inbox with a relevant personal message. When done right, this method of advertising can be extremely effective. Even writing the ad itself feels a lot like writing a high conversion email. Like with the other ad types, you can A/B test sponsored InMail ads to help you track the results and optimize your ads as much as possible. Back in 2017, LinkedIn introduced native video and then announced in March 2018 that video ads are now available. Sponsored video ads work in the same way as any sponsored content (see sponsored ads above). A Sponsored Content video appears in your target’s news feed as a standalone post. You can target your audience by job title, seniority, the name of the company, and industry type. You can also measure your ad’s performance with LinkedIn’s analytics, and find out who is engaging with and acting on your ad and who isn’t. You can also gather leads with a call to action button or through a LinkedIn Lead Gen Form. You can learn more about LinkedIn video for Sponsored Content here. Give your LinkedIn ads their best shot. Get super specific with audience targeting: Define your audience clearly and target them with a message designed just for them. Always set an end date to your campaign: This puts you firmly in charge of your spend. Test different versions of your ads alongside each other: LinkedIn makes A/B testing easy for a reason. Use it to discover which ads perform best and to continually improve your offerings. Experiment with timing: Try showing your ads at different times and days of the week to see when you get the best results. Test different ad types: Experiment with InMail ads, text ads and sponsored posts to see which ones work for you. Try matching up different objectives to ad types and track performance. LinkedIn Advertising is a great way to reach a B2B audience and generate high quality leads. Pick an ad type, set a budget, target a specific audience, and measure the results — you may be surprised.